We had the SOVO fair which is an event where most, if not all, of the school’s student organizations pitch themselves to us Freshmen. I found out the true meaning of “Broke College Students” after purchasing my textbooks… yippee. 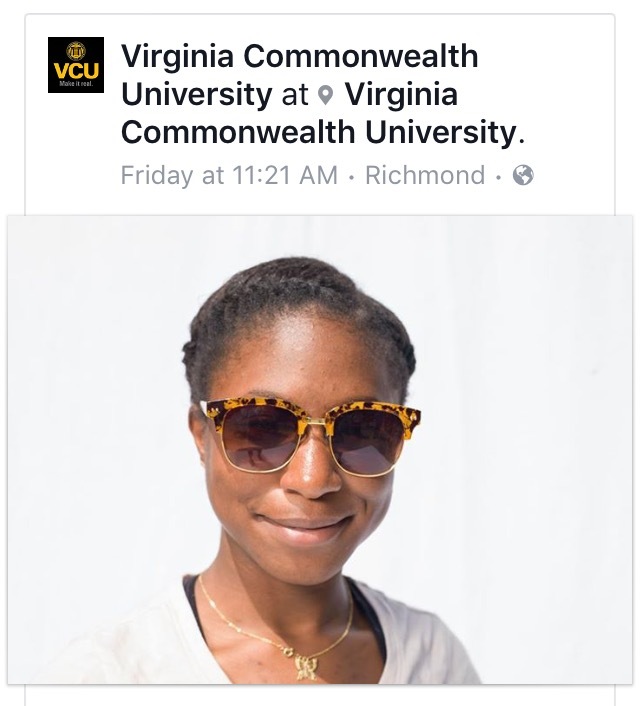 Oh, I almost forgot… *cues drumroll*… I was featured on VCU’s Facebook page!! Hopefully as I get into more of routine I can blog more frequently, but until then thanks for stopping by and back to the grindstone I go.